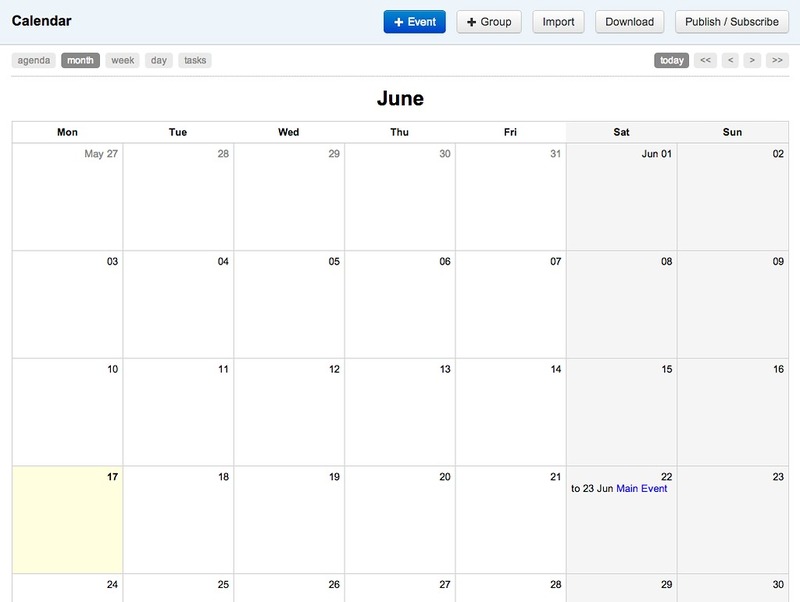 You can use the Calendar as a diary to list daily, weekly or monthly meetings or actions. 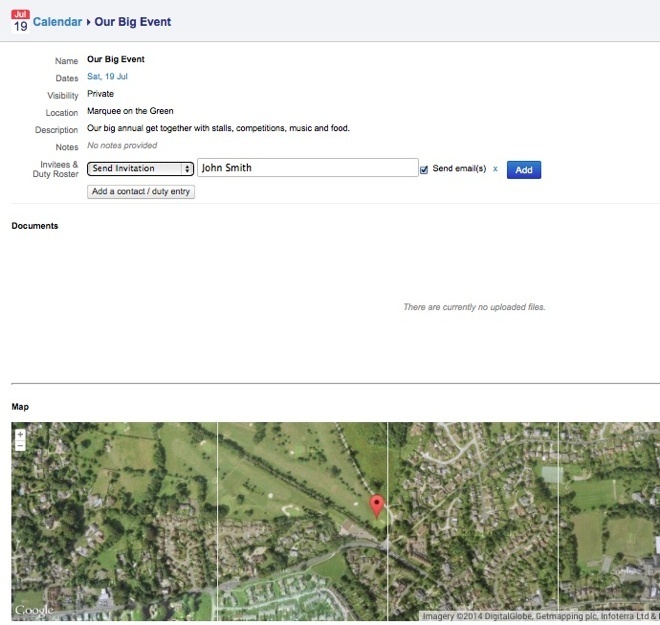 It is also ideal for clubs or organisations where the facility to add an event (or group of events), create duty rosters and notify members is a powerful function. 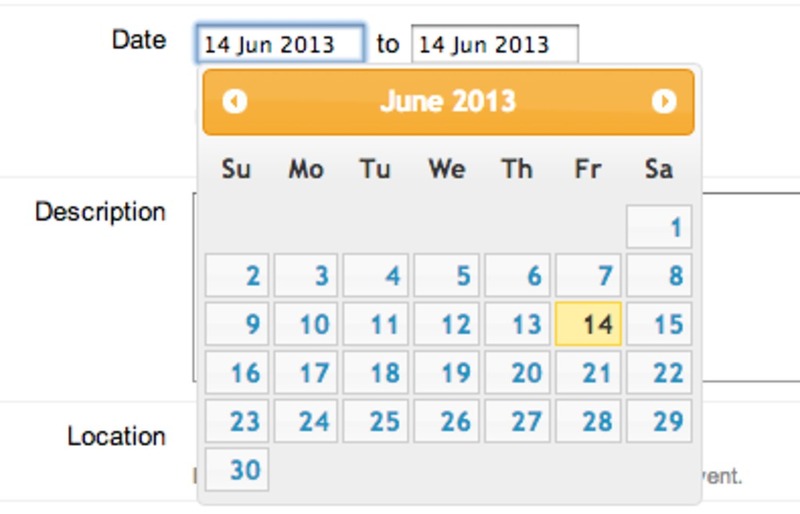 Once an event is added it is displayed in the calendar. 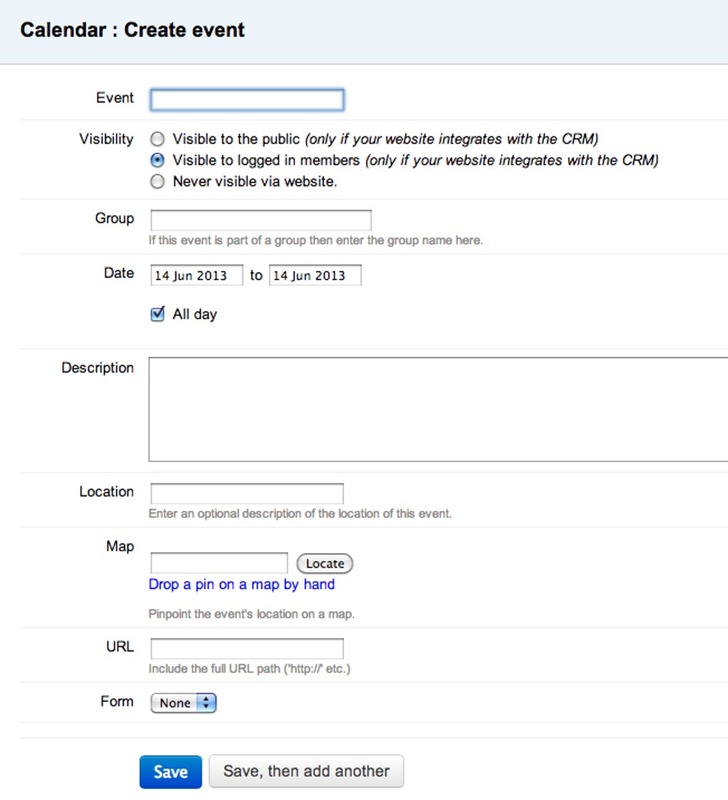 Click the +Event button top right and start to add event details - event name, visibility, group (if part of a group of events) and event date(s). 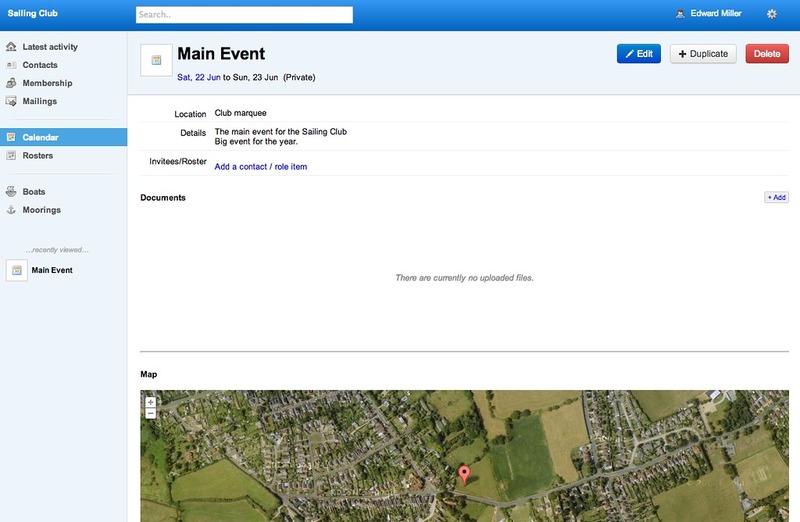 Add a description of your event which can be viewed publically. Add notes (for internal use) if required. 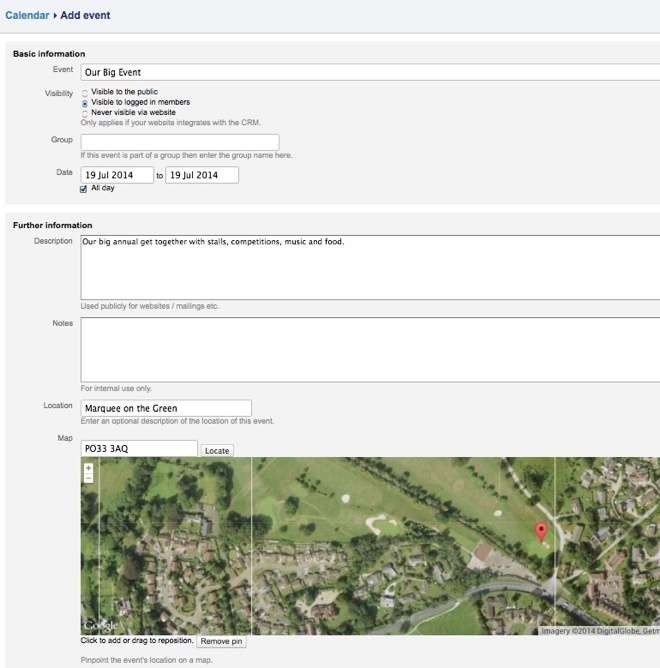 Add a location description and also a map reference (by entering postcode). A location pin can be dragged over the map to provide a precise location. When the details are complete a summary is presented, and contacts and duties can be added to the event. Duties will display in the drop-down list. You can add your own range of duties by selecting 'Duty Roster' in the left hand menu. Click 'Configure Duty Types' top right. Click +Duty Type top right. Enter duty and click 'Create Duty Type'. 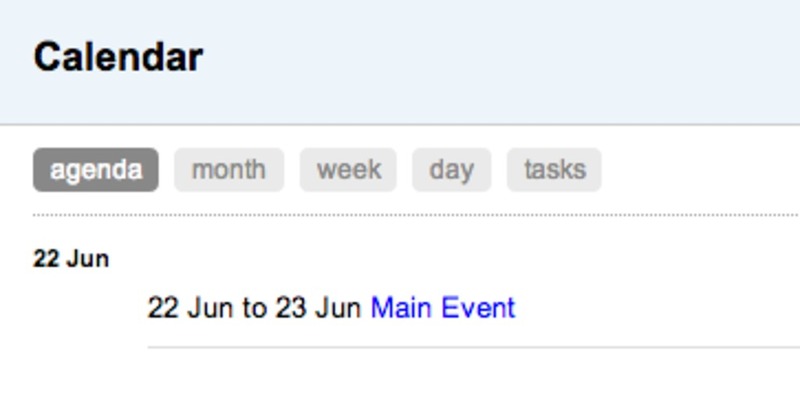 This duty has now been saved to the drop down list on the event summary page. You can allocate duties to others and notify them by email. Contacts can be searched for by entering a partial element of the contact's name, and added by selecting the contact. The final entry shows whether the contact has responded (can/can't make the event), the date/time the contact was informed, and the ability to re-send an invitation/notification. Upon returning to the calendar, the event will show up in the various views.